Credit Card Payments vs. Mortgage Payments: Which Come First? Should You Pay Credit Cards or the Mortgage? A new TransUnion study shows that more people are making payments on their credit cards before their mortgages. The number of consumers who were delinquent on their mortgages and current on their credit cards rose to 6.6% in the third quarter of 2009, up from 4.3% in the first quarter of 2008. The number of people who were delinquent on credit cards and current on their mortgages fell to 3.6%, down from 4.1% for the same time periods. The study sampled a database of 27 million anonymous consumer records to look at the payment habits of people with at least one credit card and one mortgage. "Conventional wisdom has always been that, when faced with a financial crisis, consumers will pay their secured obligations first, specifically their mortgages," Sean Reardon, the author of the study and a consultant in TransUnion's analytics and decisioning services business unit, said in a statement. Many industry analysts expected people to get back to paying on their mortgages first after the worst of the recession had passed. But the study shows that more people are continuing a trend of paying on credit cards first. People who live in states that were severely affected by the housing bubble, like California and Florida, are even more likely to be current on credit card payments and delinquent on mortgages. The implosion of the mortgage industry over the last 24 months, the resetting of adjustable-rate mortgages, and the weak job market have all come together to redefine how consumers are managing their finances and meeting (or not meeting) their credit obligations. So is it a good idea to put your credit card payments first if your income won't stretch to cover everything? Not if you want to keep a roof over your head. Yes, credit card companies and debt collectors can be aggressive about collecting money owed to them. But staying current on the mortgage keeps you out of foreclosure. 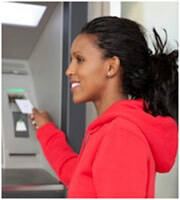 Food, utilities, and transportation to work should also take priority over credit cards. Also, credit card companies may agree to a debt settlement plan that allows you to pay a percentage of the total balance owed. You won't be able to negotiate a credit card debt settlement until you are at least two months behind on the payments. 0 Responses to "Should You Pay Credit Cards or the Mortgage?"